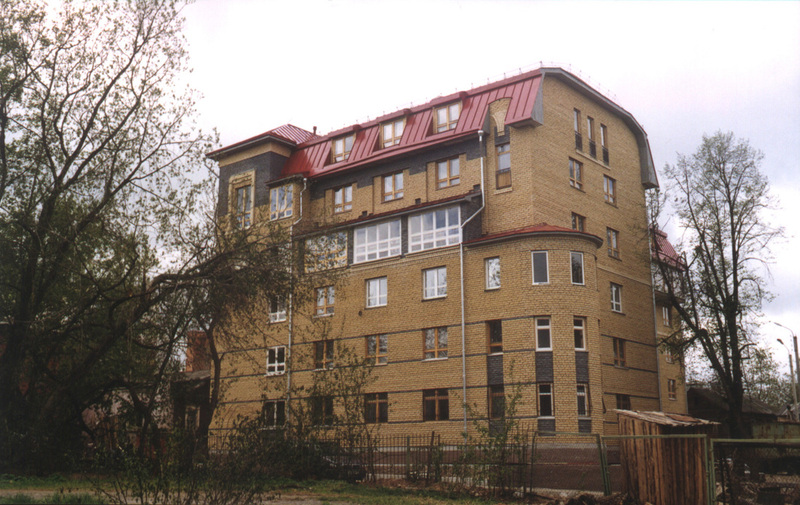 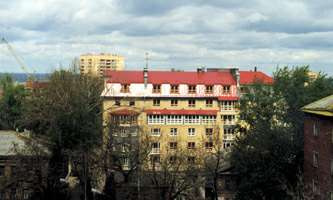 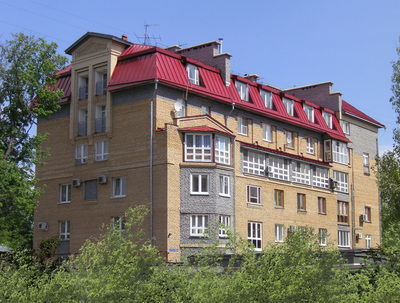 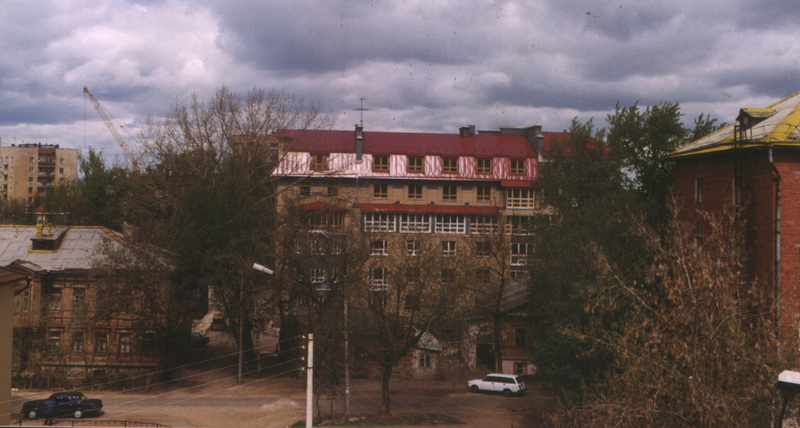 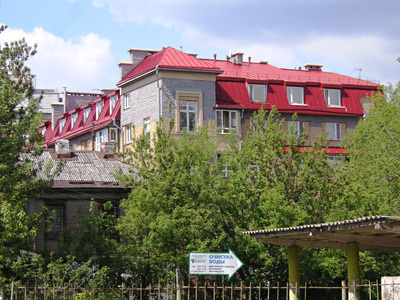 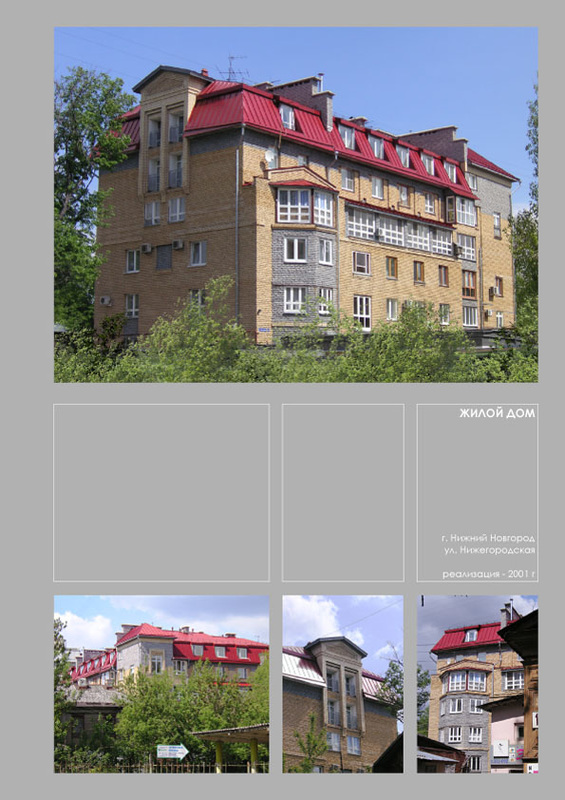 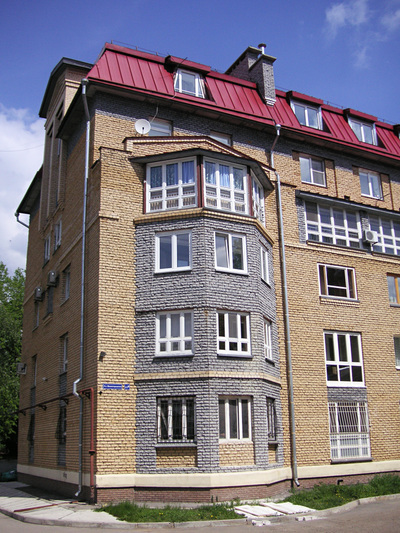 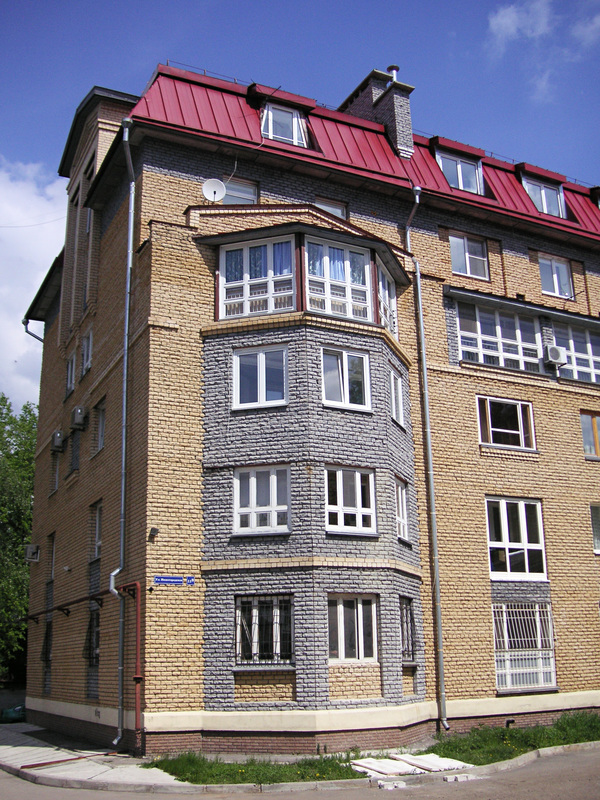 Apartment building on Nizhegorodkaya str. . The bright roof is the most expressive and visible part of this building. 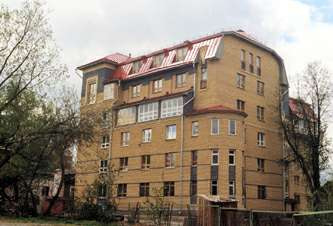 It is an example of the environment building. 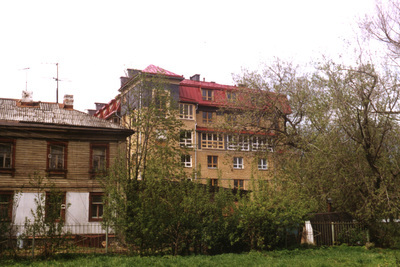 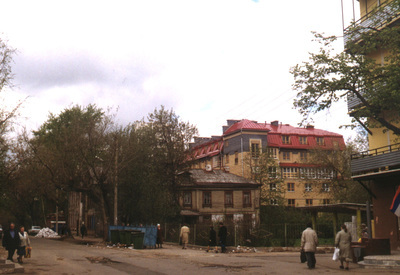 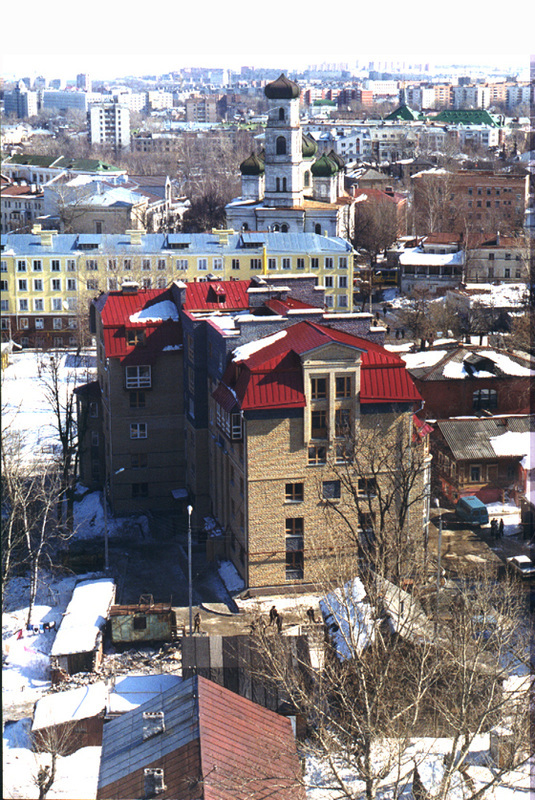 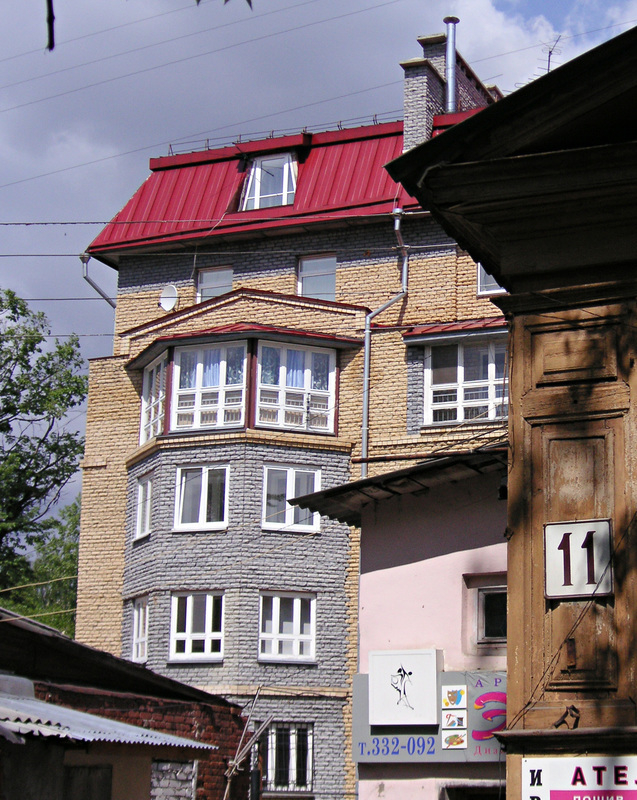 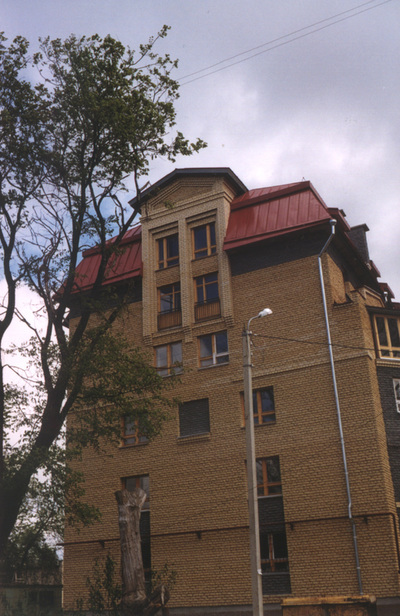 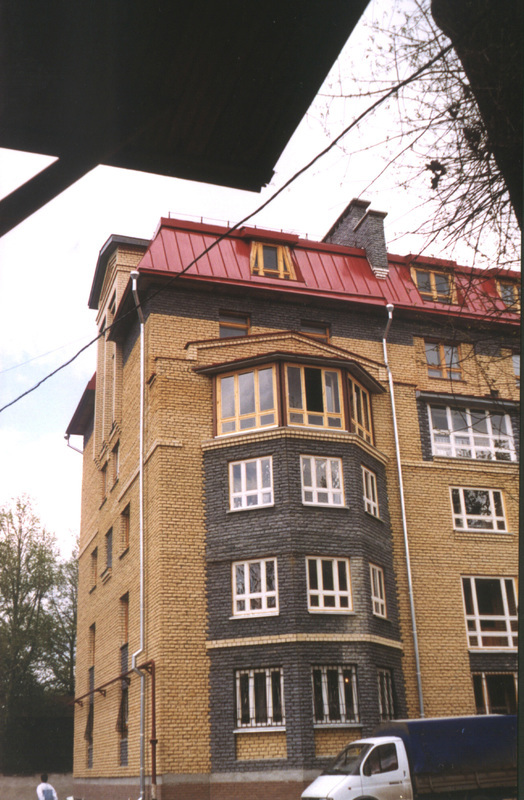 Its bay windows and loggias are not higher than the ancient houses across Nizhegorodskaya Street.